The first major art show for an artist is a big deal. The first major solo museum exhibition for an artist is maybe even a bigger deal. It is also a big deal to the museum to be able to have the first major solo exhibition of an artist. The recent opening featuring Jonas Wood at the Dallas Museum of Art was a triumph for both the artist and the museum. It was also a joy for all of those that attended. Jonas Wood had his first major New York show just ten years ago. Now, just days before his 42nd birthday, the DMA is celebrating his work with this mid-career exhibition. This museum opening was my favorite art opening in a long time. It included the genuine excitement of the artist who was enjoying his first museum show, the pride of his extended family all in attendance, the keen interest of gallery owners from New York, Los Angeles and Dallas who were also attending the opening, and collectors of his work from Dallas and across the country that were in attendance, as were couple number one. Those seeing his work in person for the first time were also thrilled. Enthusiasm for the arts, not pretense, was the mood. 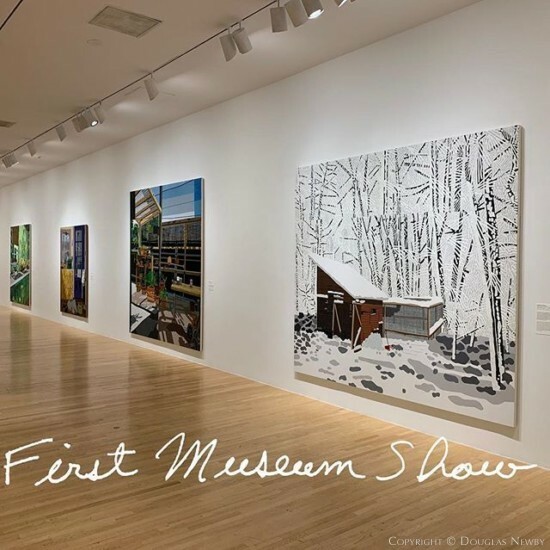 Kudos to the DMA Director Agustin Arteaga and Senior Curator of Contemporary Art, Anna Katherine Brodbeck, who initiated, curated, and organized this exhibition.